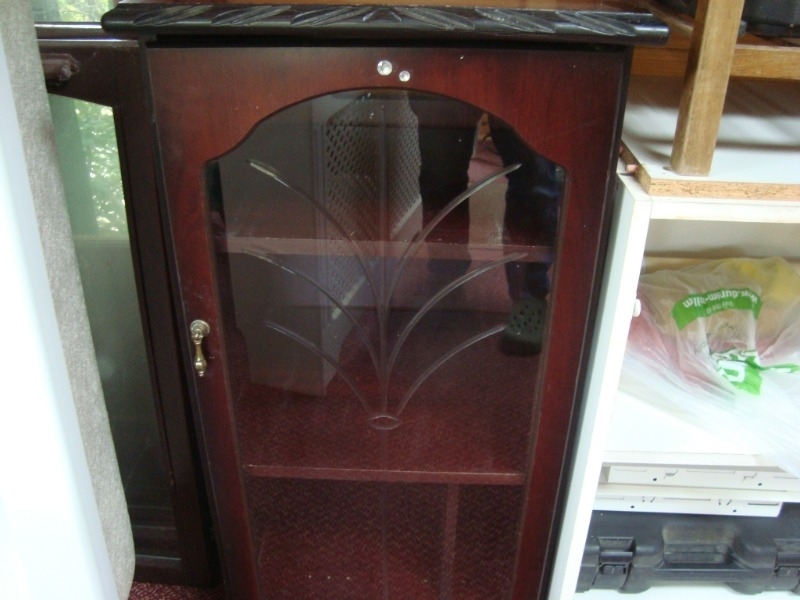 I have on offer a shoe rack it is in reasonable condition. 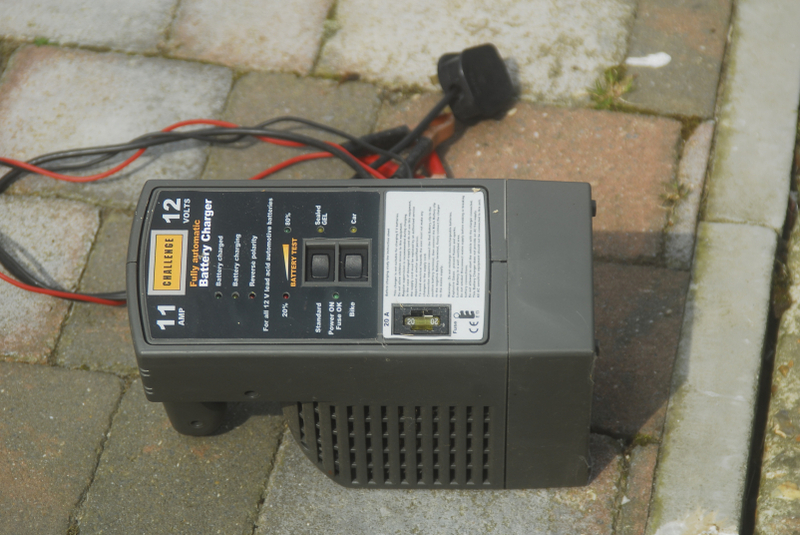 I have on offer a battery charger it is for cars or bikes. I have no idea if it works. 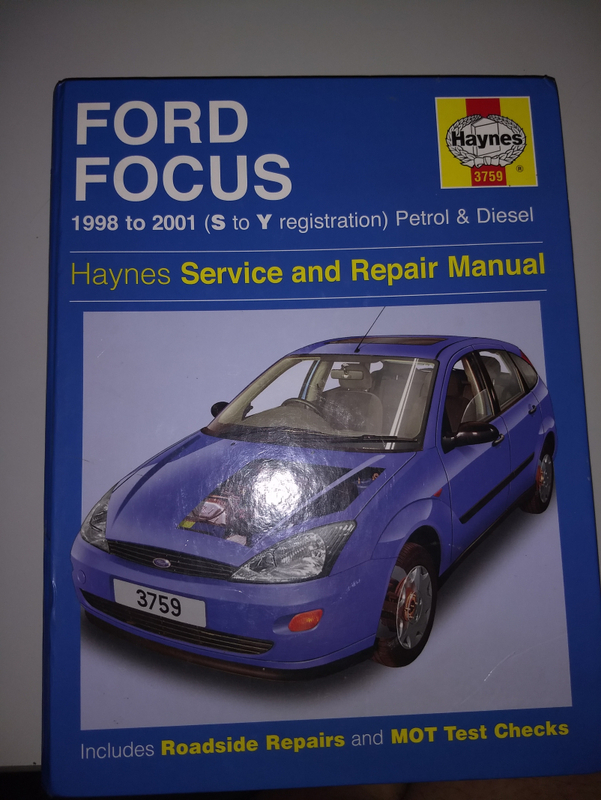 Haynes workshop manual for a Ford Focus, years 1998 - 2001, S - Y reg, petrol & diesel... fair condition with the odd stain, or oily fingerprint ... nothing drastic though... perfect for that D.I.Y Car enthusiast.. please leave numbers if interested. best wishes, Carl. Hello, has anyone got a copy of the Wall by Pink Floyd? Many thanks. 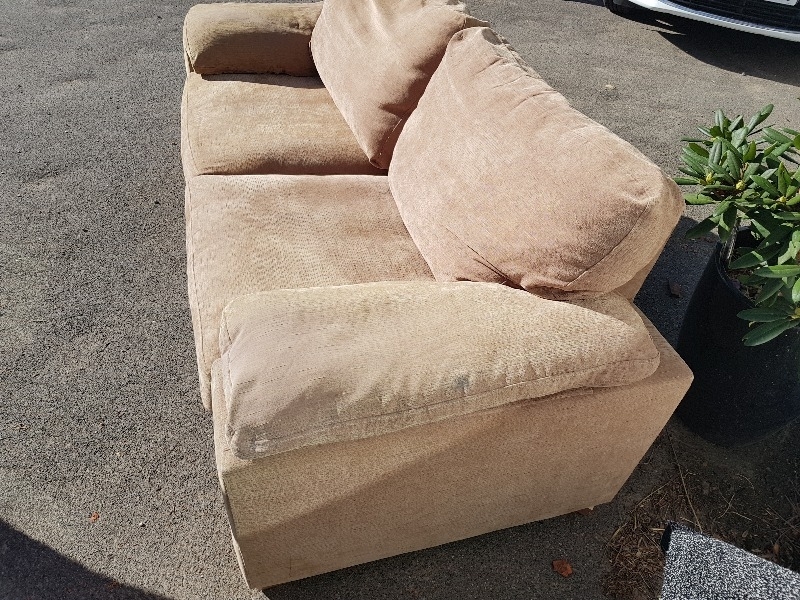 I have on offer a blue leather 2 seat sofa. 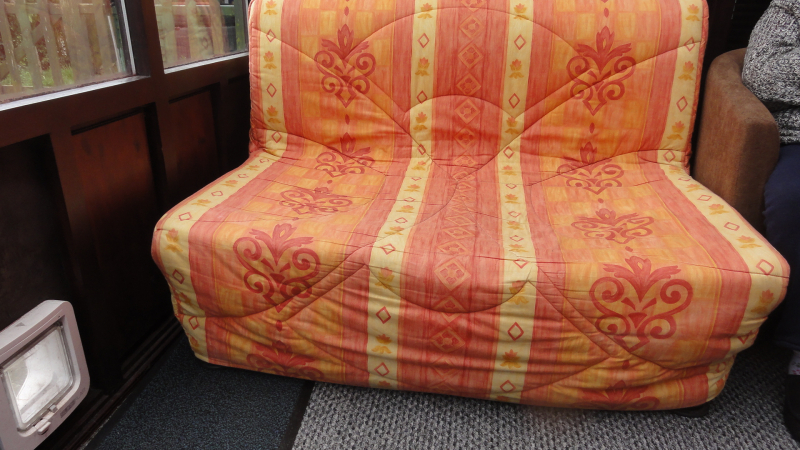 It is in reasonable condition no cuts etc to leather. Could do with a clean. Cat is not included. 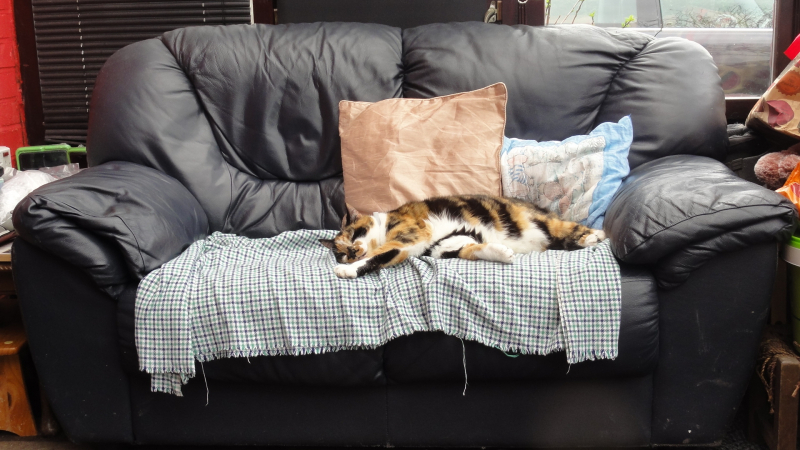 I have on offer a Double sofa bed. 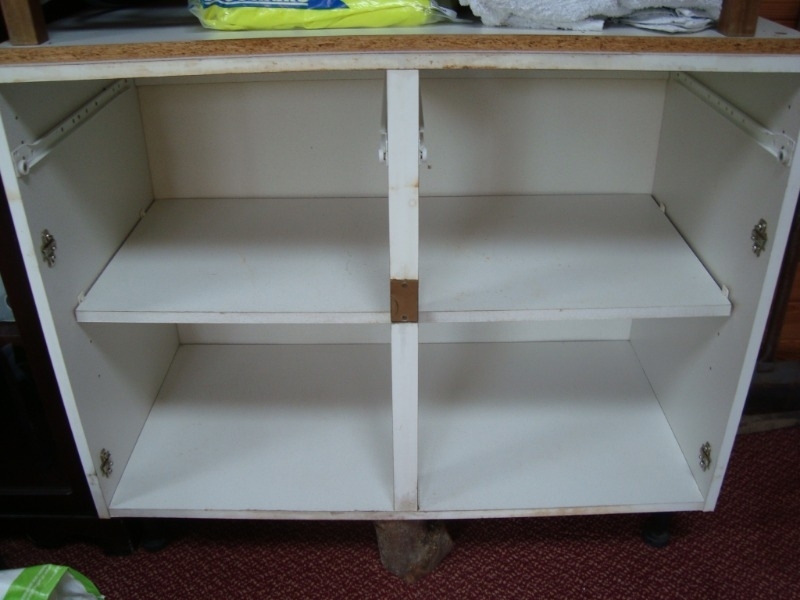 It is in reasonable condition although there are some damp/mould staining on the back. It is four foot wide. Solid pine bed base and unmarked Silentnight Blue Label mattress, 90x190, (always used with a mattress protector). Dismantled. 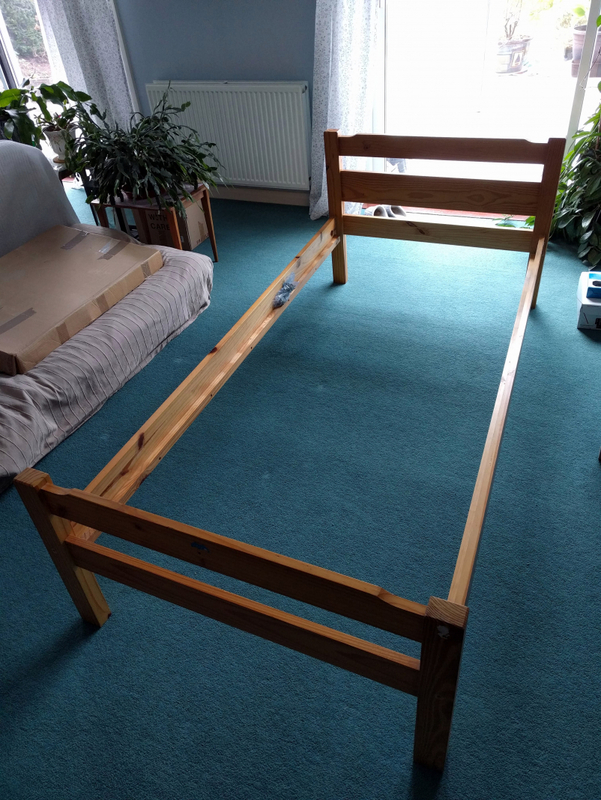 Needs slats to support mattress - LURÖY Slatted bed base from Ikea would be fine and costs £20. For kindling. No plywood. Have van, will collect from Rye area. Any offcuts I can chop up for kindling (not plywood). Have van, will collect Rye area. Dimensions: 250Lx165Wx50D This has a liner which is almost new - it has been used once and is clean. The frame is dismantled. 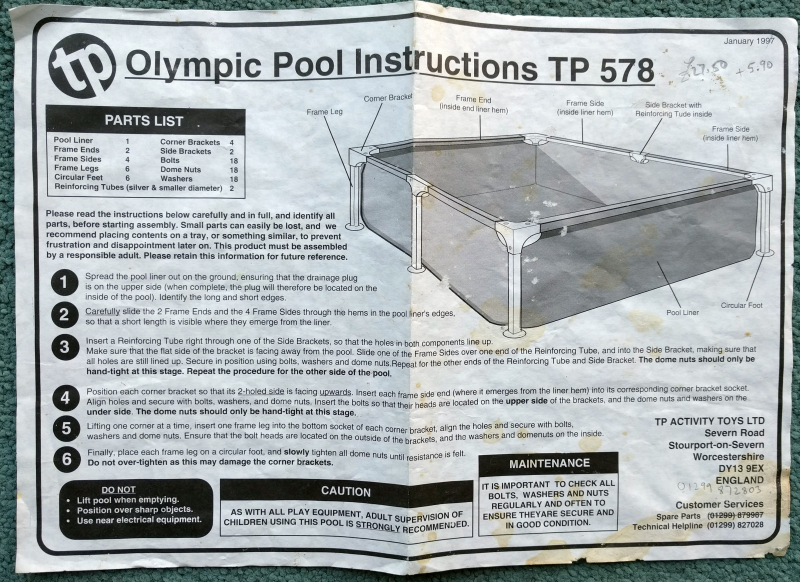 It is sound and complete with all nuts and bolts and assembly instruction, but needs a good clean. 2 x bags of baby and toddler books. 2 x BT Diverse cordless telephones, grey, with leads, handsets and bases. Working order. Need new batteries. Anything really just to help me get started, in Fly Fishing, books, rods, reels, tackle, fly tying stuff, flies anything really also goos suggestions to where’s best to go for beginners. Thank you. Size 46 green chest waders - have been used for sea angling. 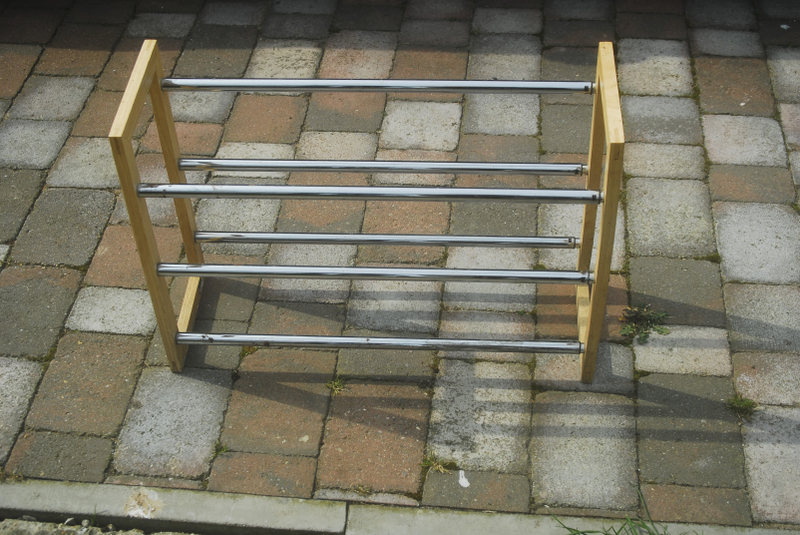 107cm long x 75cm wide x 51cm deep. Too good to throw away. Toy box, puppy birthing box, play box ?? 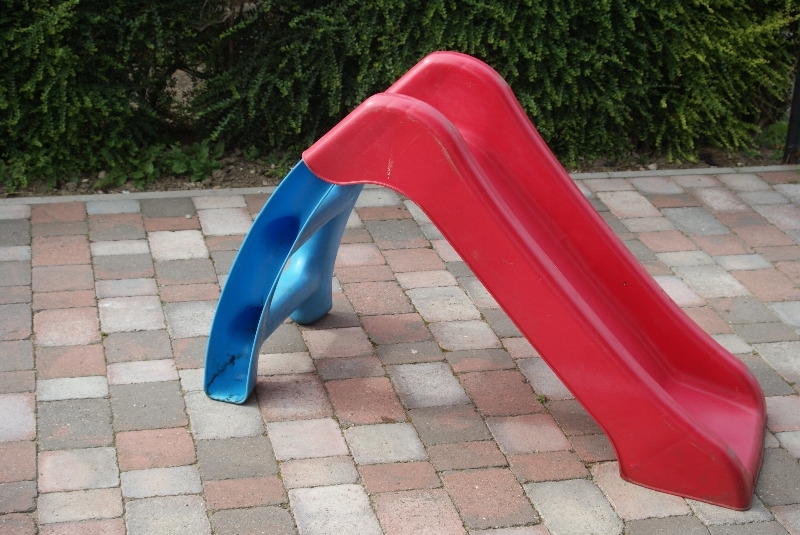 Comes in two halves that can be clipped together. There are no drawers, it’s just a functional bed base. 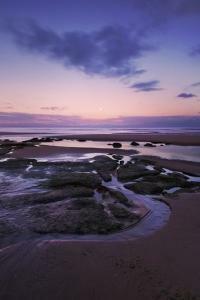 Can be collected from Rye Harbour where it’s in store. 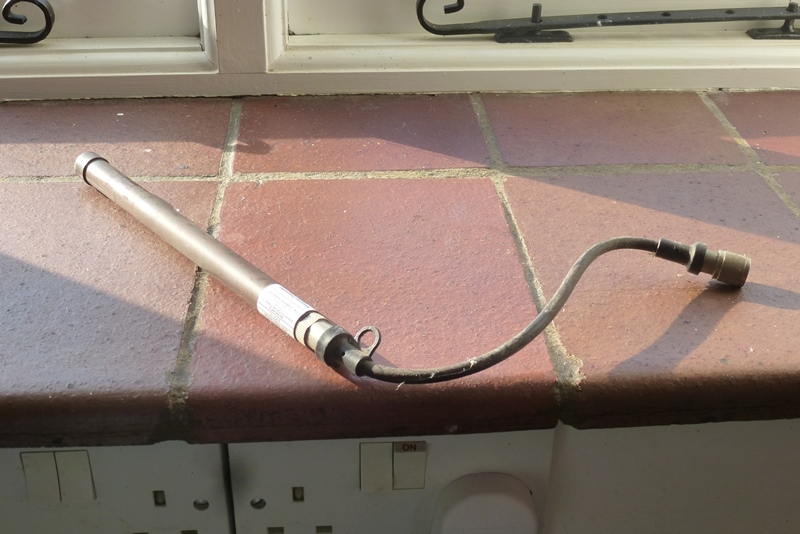 "Transmitter power tube", not used for a few years (the transmitter failed) but still gives 5.9V. Useful to experiment replacing your own batteries! Disc 1 of 3 won't play - the others are fine! Electric keyboard wanted for my son to learn on and make music! Email or my landline is 01424813144. Thanks for looking and hope 2019 is great for all. Rotating cowl needed for a project . Any size or design . 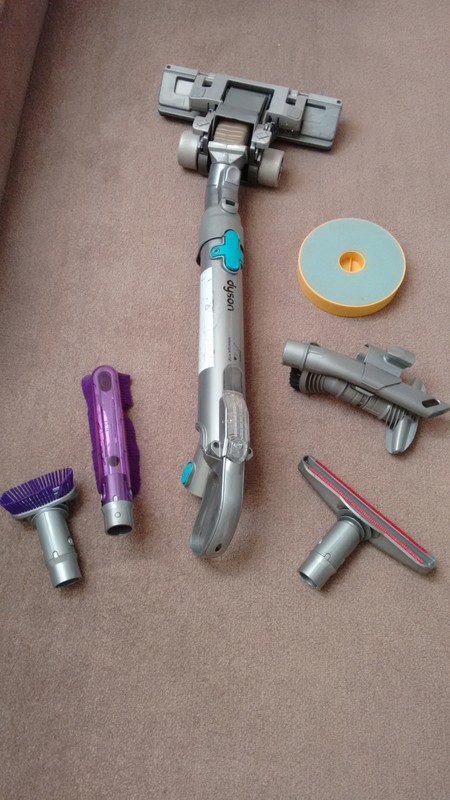 From DC08 cylinder vacuum cleaner which broke but accessories are still in good condition. Brush, crevice, stair and hard floor tools as well as telescopic wand and main turbine head. Washable filter and case. 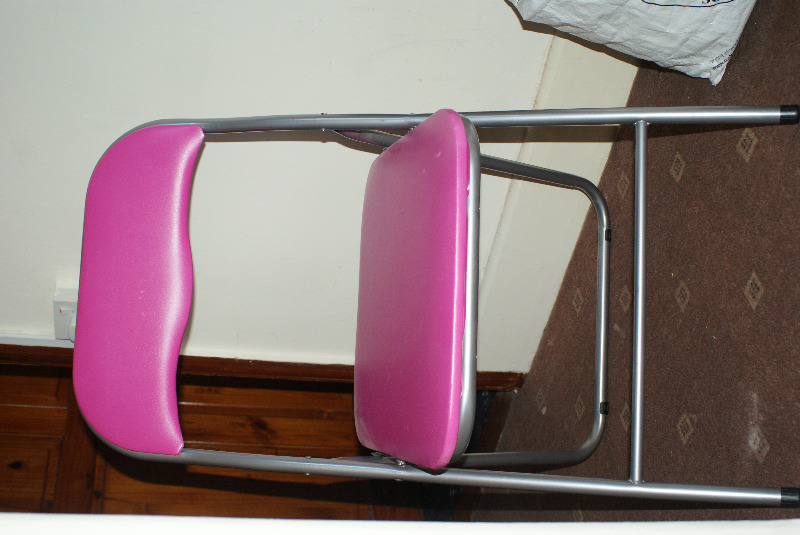 I have on offer a pink folding chair ideal for the childrens room. 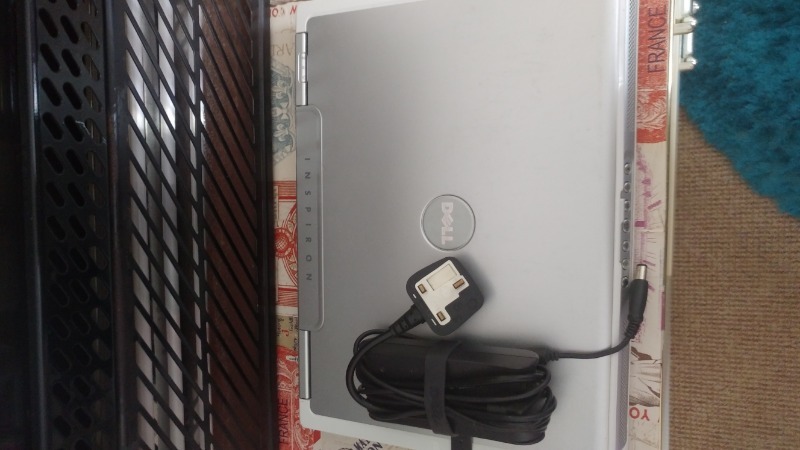 It is in reasonable condition. 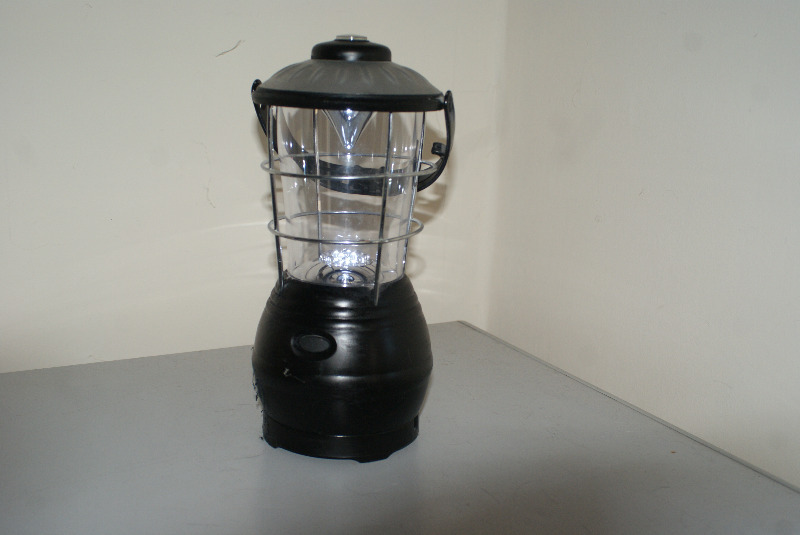 I have a wind up lantern on offer. No batteries required just a few turns of the handle. 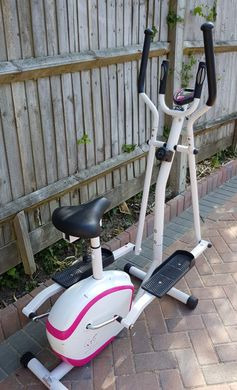 Hi has anyone got a cross trainer/exercise bike combination similar to the one in the picture which they no longer require as the household is going on a weight loss regime. Many thanks, Andy. 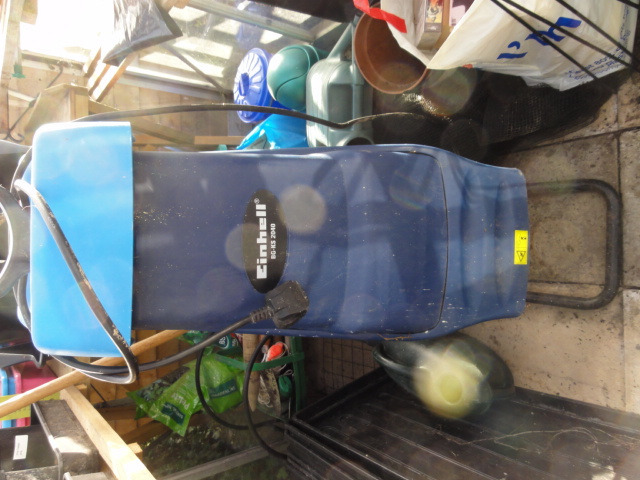 I have on offer a Juwel Fish tank, it is complete less water and fish. 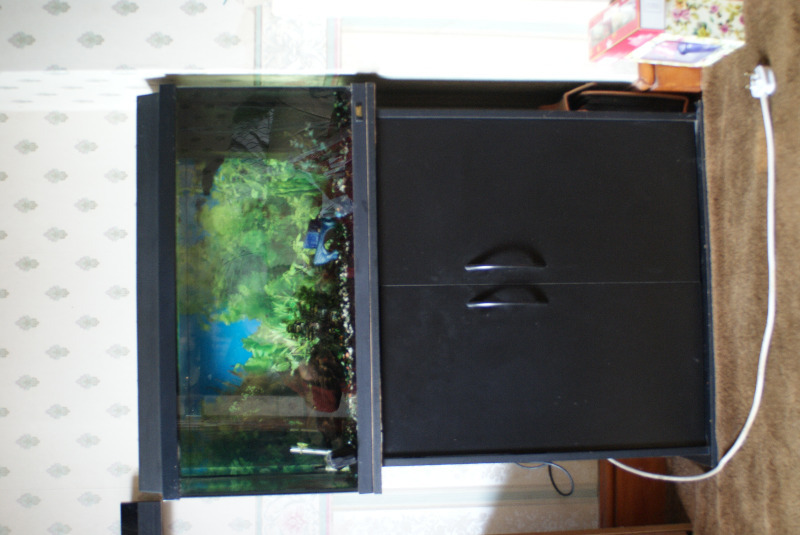 The size is 80 x 30 x 40cm it has a cupboard/stand, gravel, filter with sponges, and all the equipment to clean it. 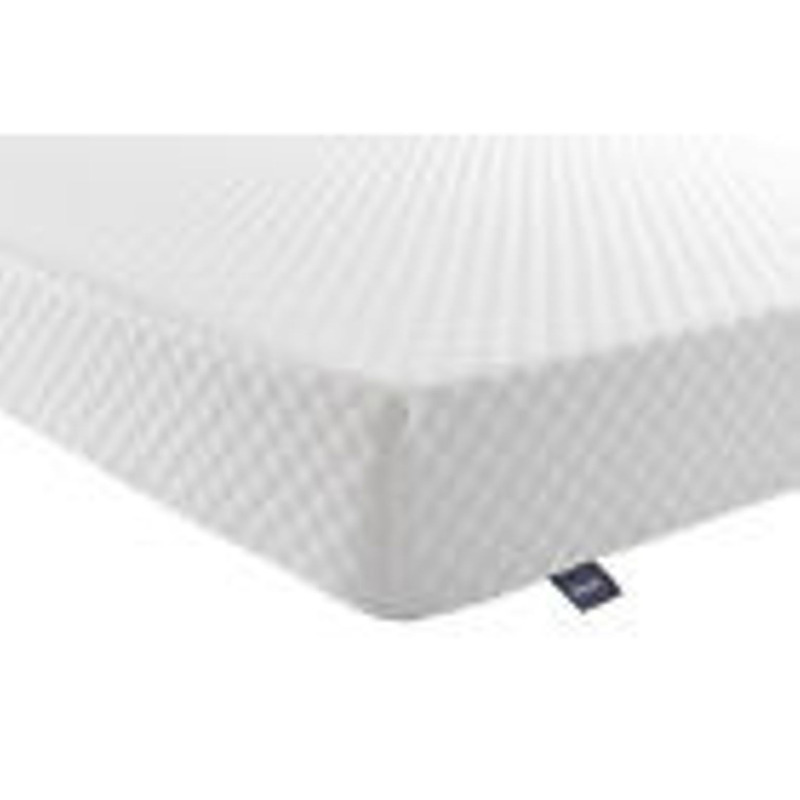 Silent night double memory foam 7 zone mattress used for about two weeks. Asking for a friend who needs these to take water to her horses. One complete unused set of printer cartridges for HP photosmart all-in-one printer plus a number of unused black spares. 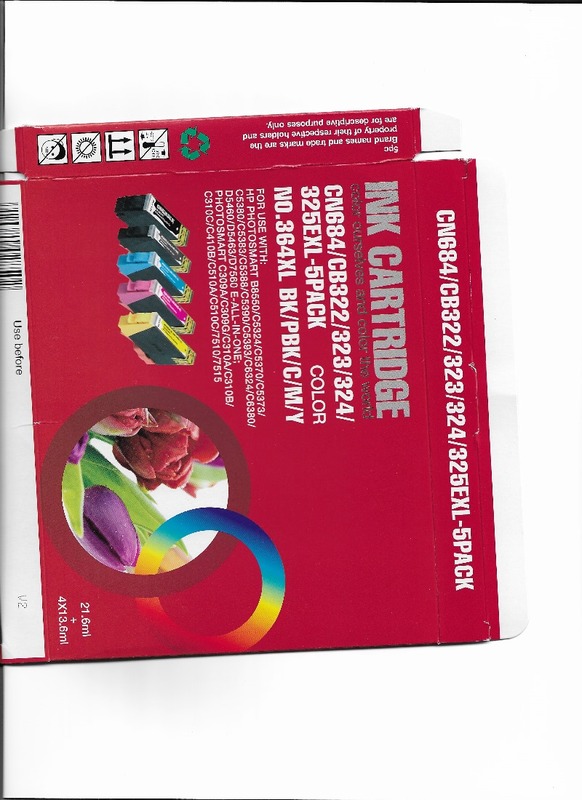 Not original HP but I have used these cartridges for some time and found them to be as good as HP. I have purchased a new printer and wood rather do some one a favour than throw them out I also have one HP 343 Tri-color cartridge if any one wants it. 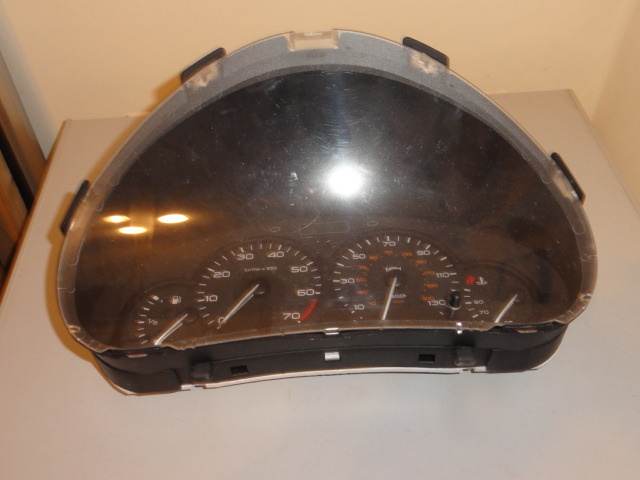 I have on offer a peugeot 206 1998 speedo. The speedo part does not work but with a new stepper motor no problem. It has done about 86k. They are Half working I believe there is a blow bulb in other half. I have on offer a Einhell Garden Shredder. I know absolutely nothing about this item I was told it works after a fashion but I have not tested it so you take it as seen and it may be brilliant. 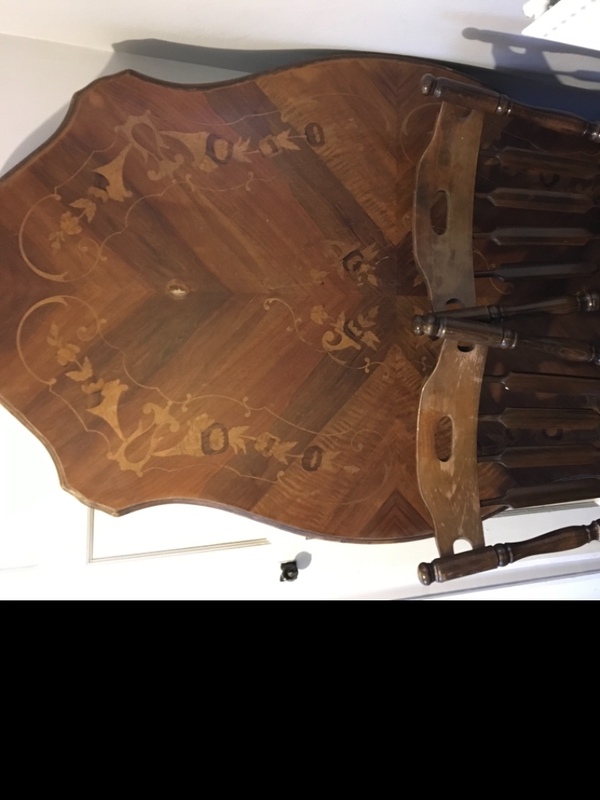 I’m looking for a large table and chairs ideally would seat 6 people. 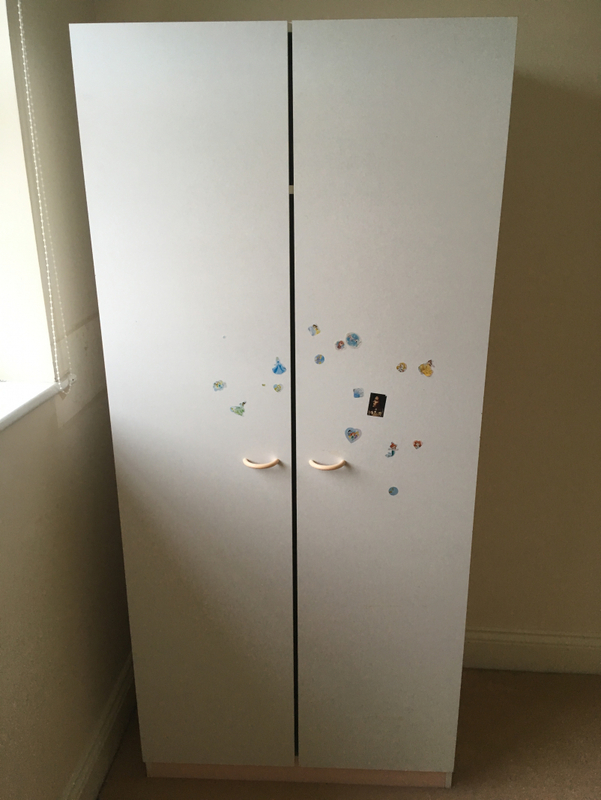 5 feet high - been used outside but still useable. These are in good condition and fit on existing visors in car and give extra protection from the sun and the yellow lens are useful for anti glare at night. i am looking for about 8 panes of glass or perspex about 2foot square to make some garden cloches. Many Thanks in anticipation. Two 6 panel softwood doors varnished, suitable for refurbishment. One 27 inch X 77 inch One 27 inch X 30 inch. Two 2.5 litre = 5 litre Of Wicks Colour Home Kitchen Stain Resistant Matt Emulsion (MINK) After recently purchasing the paint decided to have a new kitchen installed and changed colour choice. so paint is surplus to requirement. I have 6 venetian blinds on offer. They are Black plastic 60cm wide with various drops. 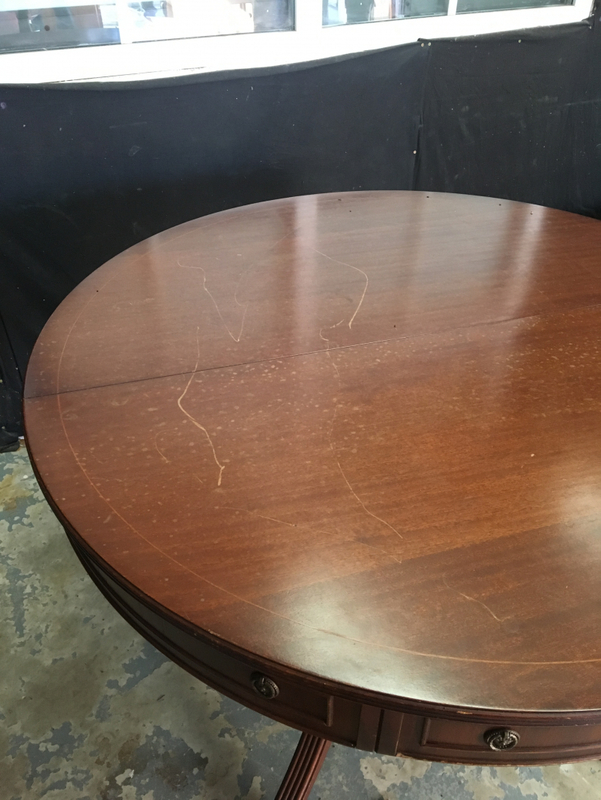 They are in reasonable condition and have fixings and some screws. 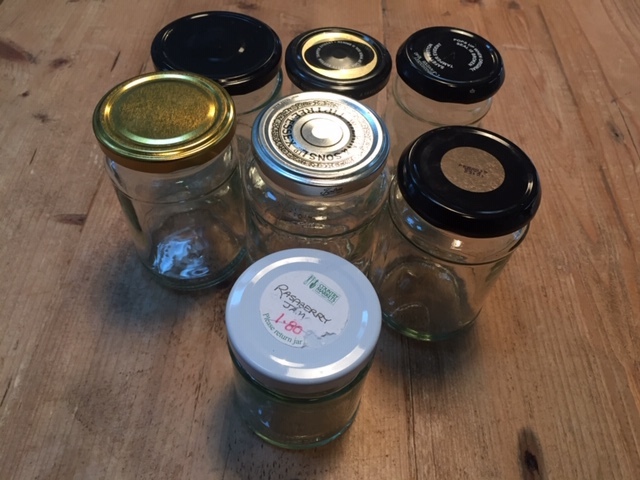 I have a number of glass jam jars to give away - all washed and clean and with lids. I’ve recently taken up fly fishing and am looking for any thing spare, tackle, line, rods etc. It’s been recommended to me to look out for a cane or bamboo rod for when there’s a possibility of lightning as my carbon rod is a very good conductor of electricity. I doubt the cane or bamboo rod will be used as much but it sounds to me to be a good idea to have one just-in-case. Your kindness would be very much appreciated. 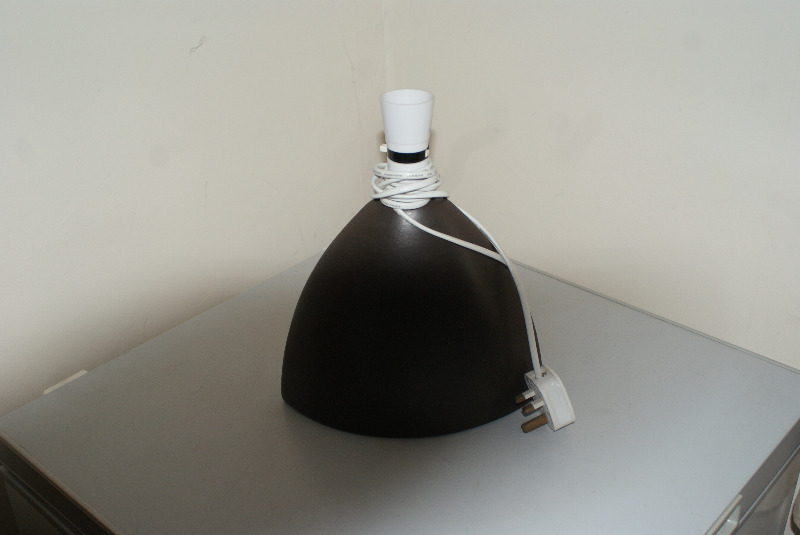 I have on offer a contemporary bedroom/table lamp on offer as far as I know it is in working order. It is brown in colour. Please note it is in Rye. 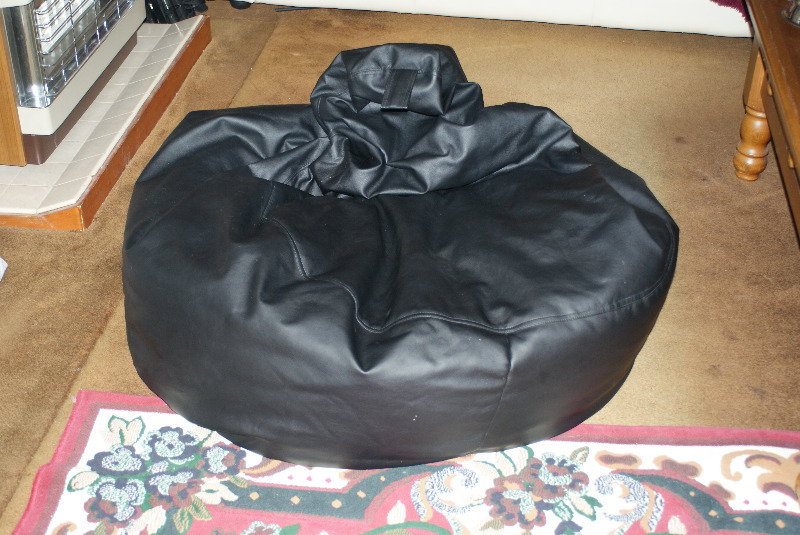 I have on offer a large leatherette bean bag 80cm diameter, if it had enough beans in it it would have a back. It is in reasonable condition but needs more beans. I am looking for any old and unwanted Monopoly board games. They don’t need to be complete, as I plan to use them to make Maths games for my students, so they will have a new life as Mathsopoly. I will be making maths orientated community chest and chance cards etc. to go with them. I teach learners who really struggle with maths, or are resitting their GCSE, so your donations will help raise their confidence, and increase motivation. 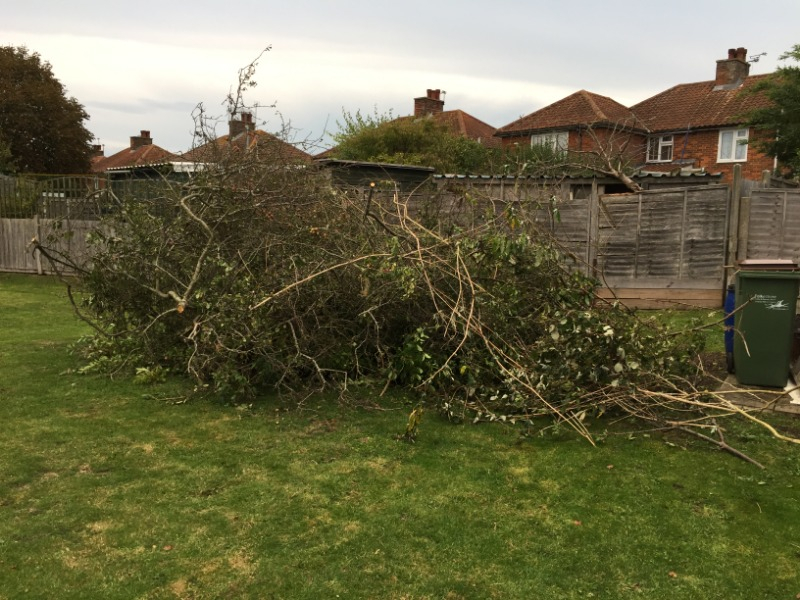 I can collect from anywhere within 5 miles of Rye, Udimore, Cripps Corner, Mountfield, or Netherfield. I'd be grateful for any boxes that removals companies supply when moving house. Thanks. Marin Bolinas Ridge 17 inch women's navy mountain bike. 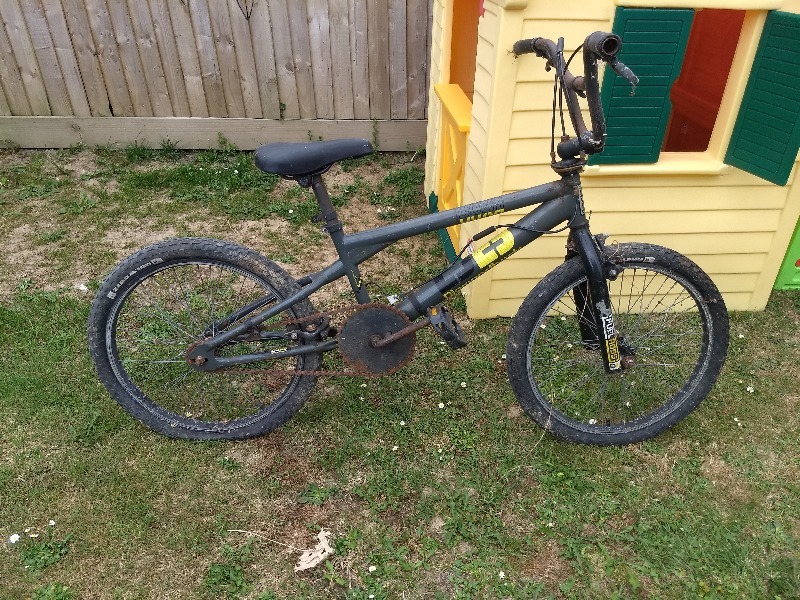 This is about 15 years old and it's in a used but good condition. It has been kept in a garage in the dry so there are only a few small spots of rust here and there. 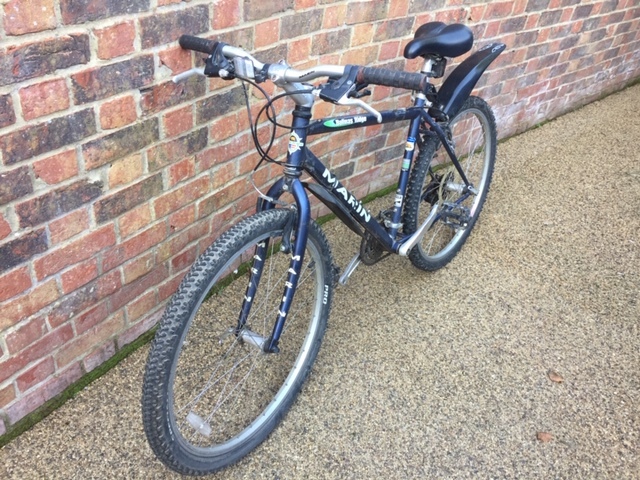 The tyres both seem fine (inner and outer) but the rim tape on the front wheel needs replacing. It has mudguards on the front and back. I’ll wait a few days before responding to give everyone a chance to get in touch. 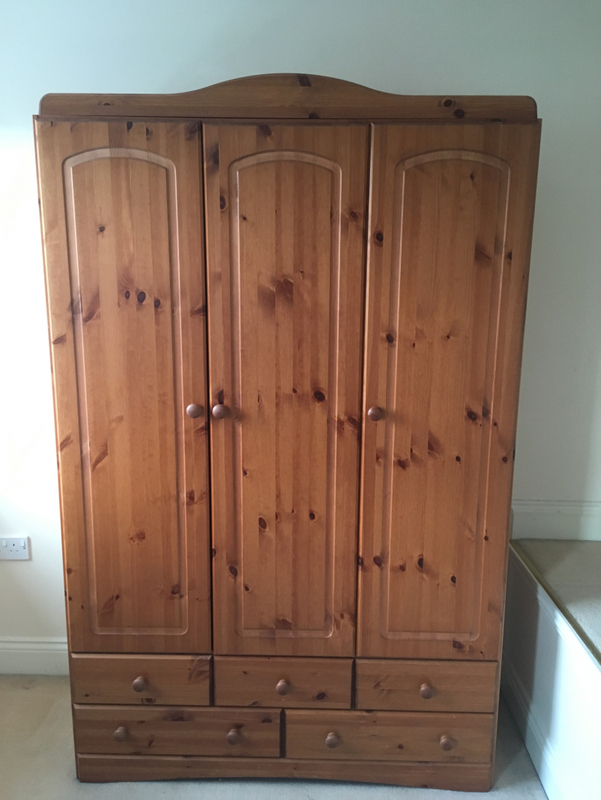 Full size with line complete and in good condition. 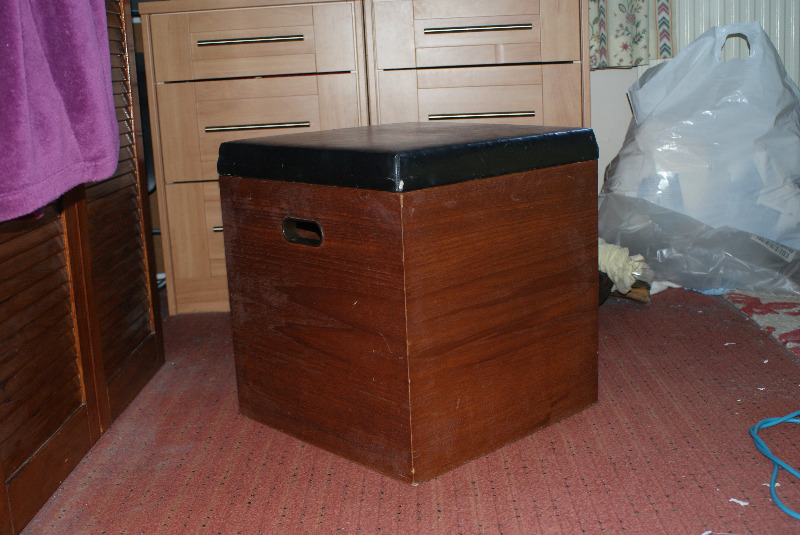 I have on offer a Bedroom Stool/Storage Box it is Wooden with a leatherette top and two recessed handles. 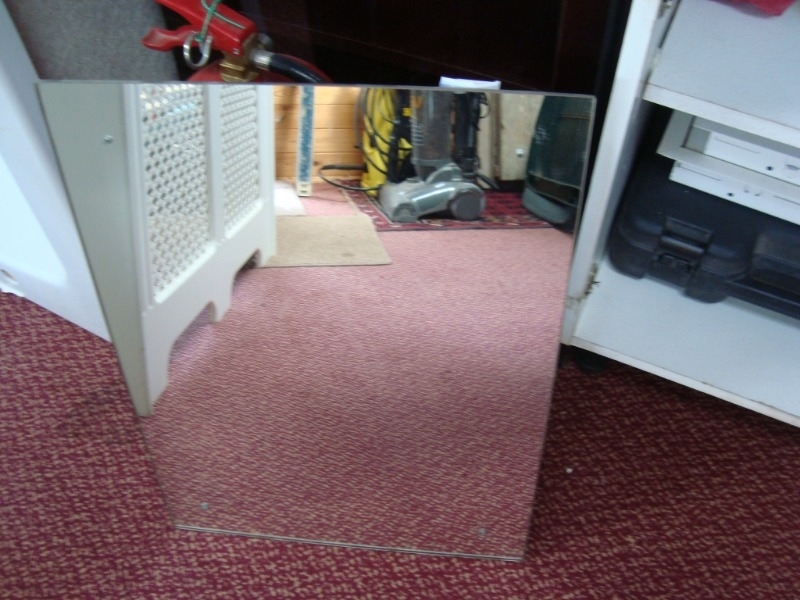 it is 16cm x 16cm and 17.5 cm tall it is in reasonable condition. Please note it is Rye and please do not apply if you have no intention of collecting. 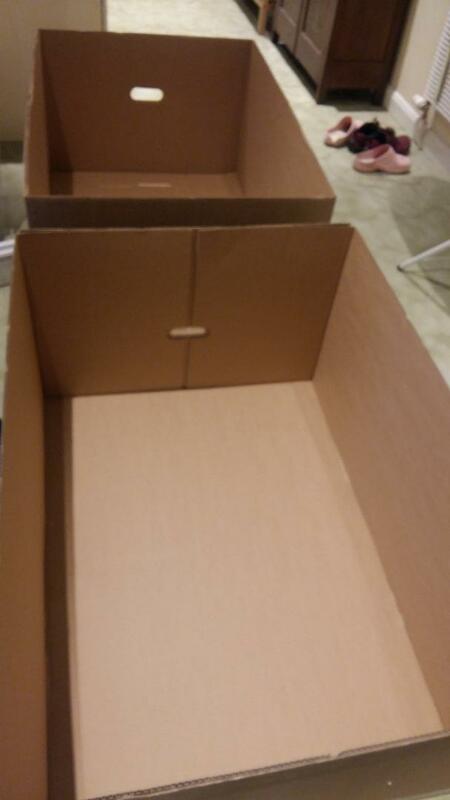 Looking for large boxes that removals companies provide for house move- grateful for any help. Shelfing 3 corner, 2 flat shelves and 1 3 tier shelf unit. 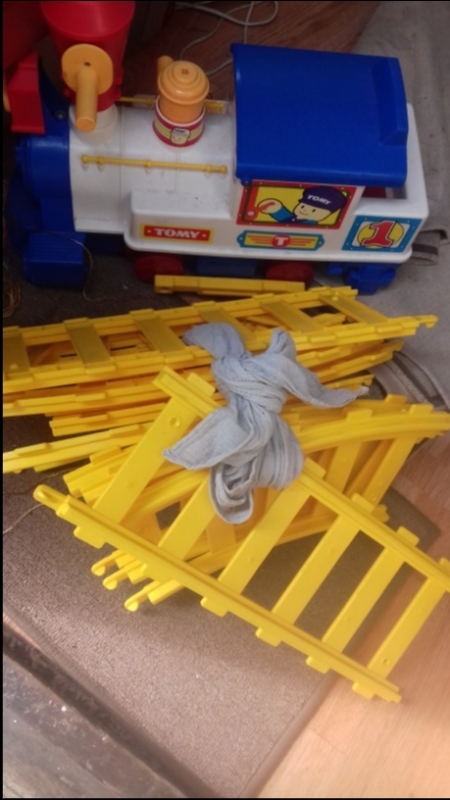 Due to new kitchen being fitted they are surplus to requirement, need a little cleaning up a little but will do a good turn. 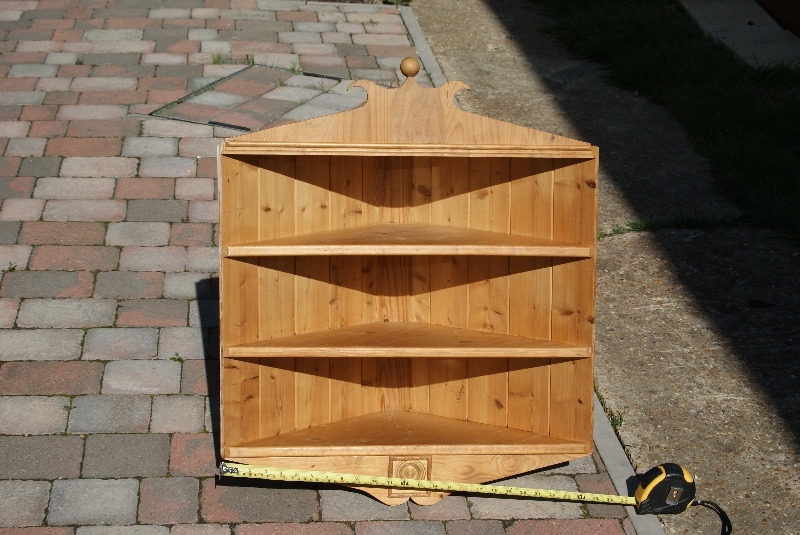 I have on offer a pine corner unit it is approximately 2ft X 2.5ft. Please note it is in Rye. I was given these roof bars for my discovery. I never used them so not 100% sure that’s exactly what they are I’m afraid. 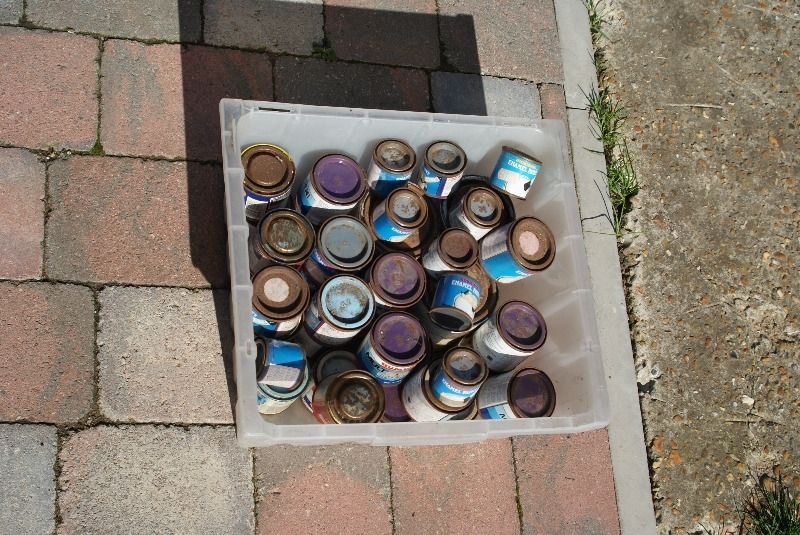 I have on offer 38 tins of hobby paints mostly Humbrol to go as one lot. Please note they are in Rye. I have a paddling pool slide on offer. Please note it is in RYE. 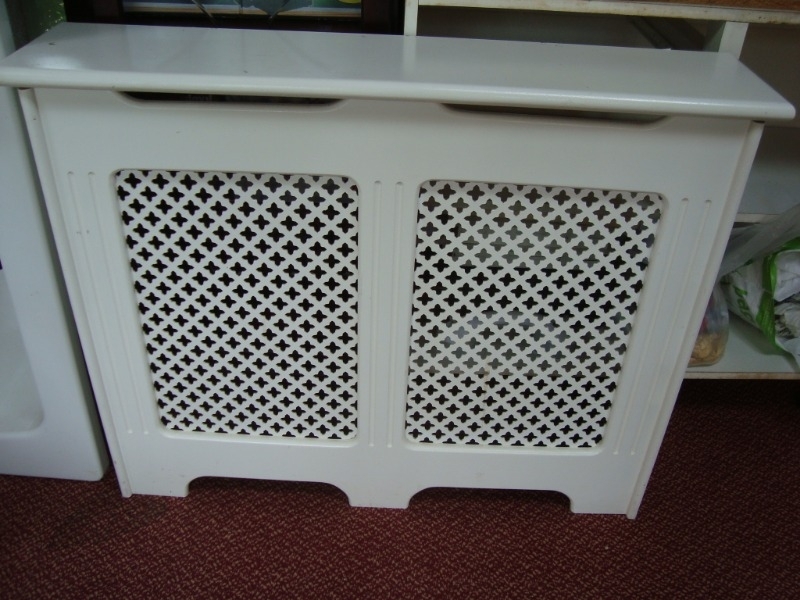 500mm wide 300mm deep, 730mm tall, white, door included, but no back, may be suitable for shed storage use. Two Nokia mobile phones. Not Smart phones Nokia Model 1112 SIM free and unlocked. 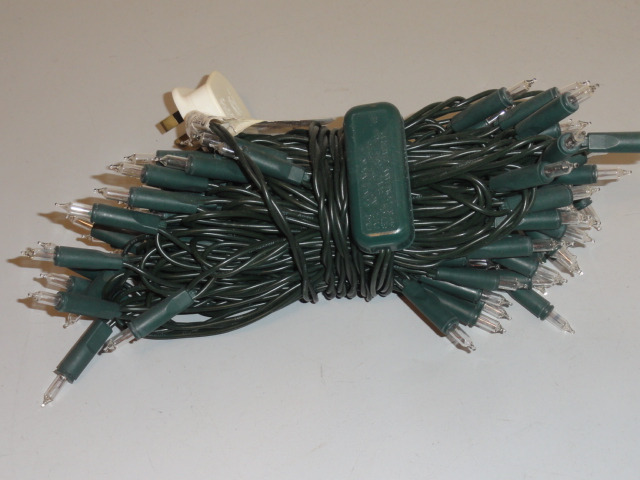 One charging cable. 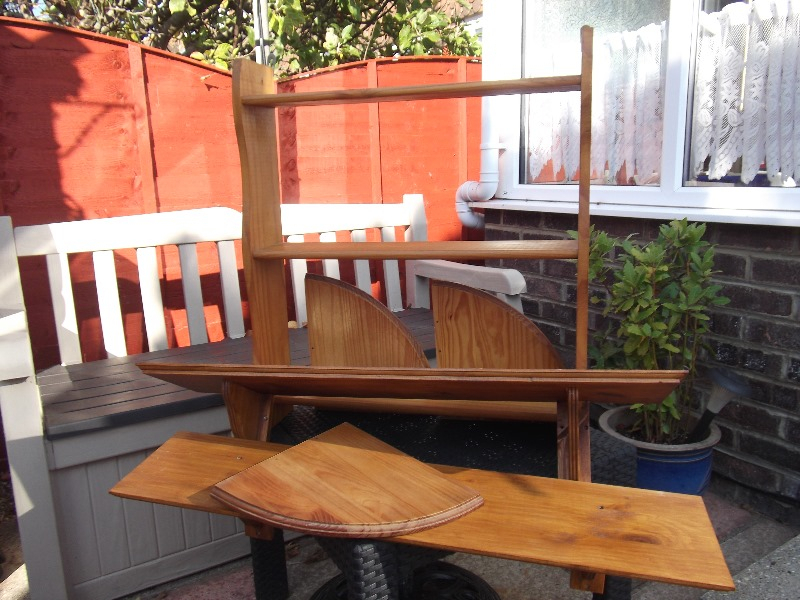 6 panel pine door, 77 inches X 30 inches varnished needs refinishing but in fair condition. 43 inch plasma LG TV. Needs regassing but still working. Free to collector. Hoping to go on a gap year in Austria, and I'm looking for any skii clothes.. I am a female, roughly size 10. Shoe size 6/7. Would be so greatful! Italian style tiled table with pine surround and legs. It is approx 160cm x99cm x 76cm or in inches 63” x 39” x 30”. 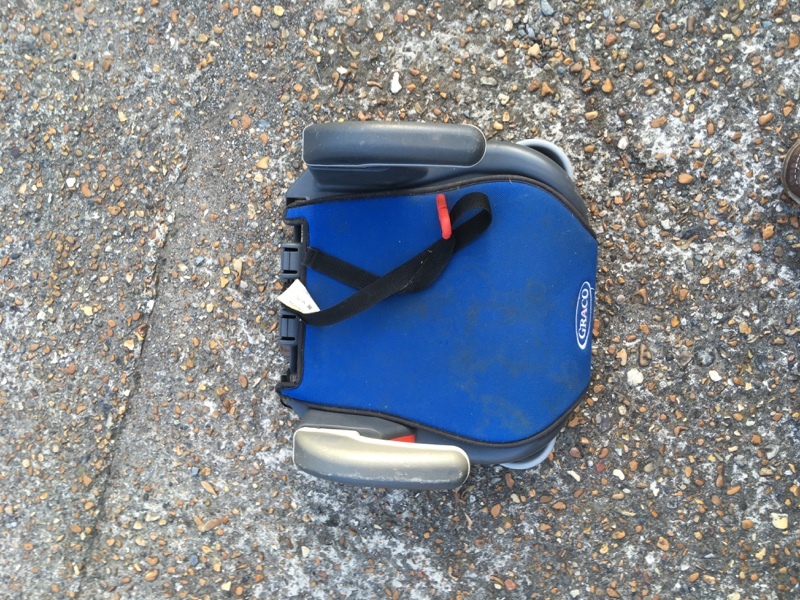 Collect from Northiam and will need 2 people as heavy and a van. Condition is good. Has to go ASAP as space needed by Thursday. 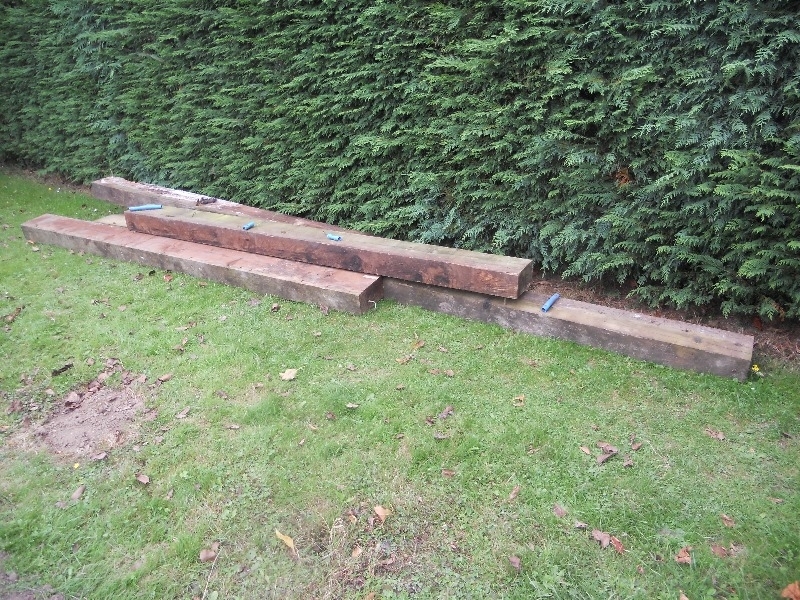 These were a raised bed and suitable for re-use for that again. Need to go ASAP or builders will dispose of them. 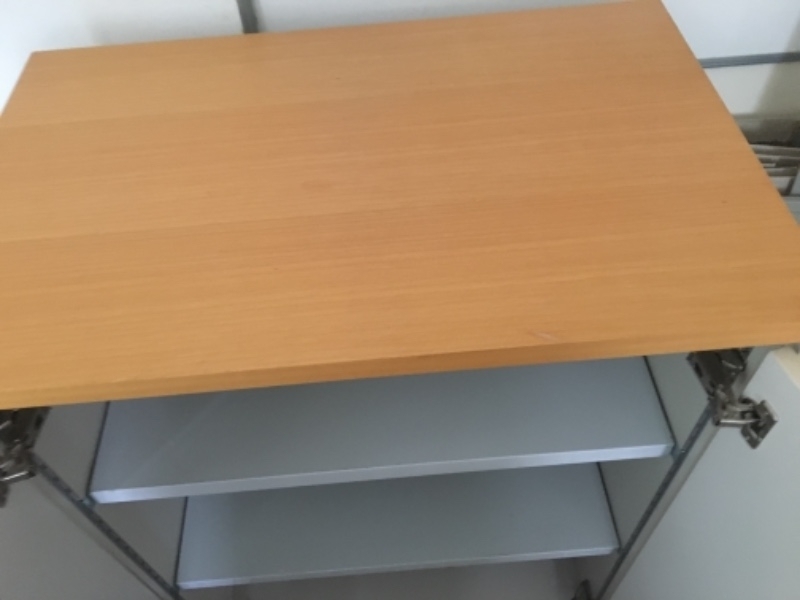 Very heavy and need collection. Tiled Italianate table with pine surround and legs. Condition good. Size in inches is 63 long x 39 wide x 30 high....or centimetres 160 x 99 x 76. It is heavy so will need 2 people to collect. It was bought from The Pier some years ago. We need the space ASAP and need it gone by Thursday 23 August. I’m looking for an electric kettle, nothing fancy, but it needs to be safe. It’s for making tea and coffee for my wonderful volunteers at my Space@TheStade event in Hastings Old Town next Friday. Thanks. I need a load of empty plastic drinks bottles, ideally 2-litre size. They’ll be used with a Stomp Rocket launcher at the Space@TheStade event in Hastings Old Town next Friday, 24th August. I need lots of them as they’ll all be stomped on! A big bag of dried lavender flowers. Very fragrant. Ideal for soap or lavender bags. And loads more to come in September! I have a bag of soft toys in good condition if they are of use to anyone. Various sizes. Black and clear plastic Brita tap water jug. 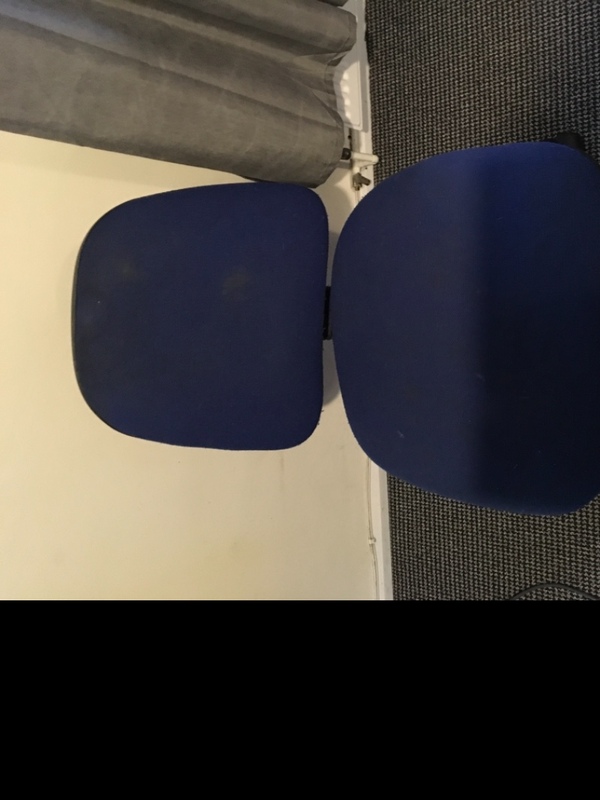 This has been used but is still in good condition and fully working. I’m giving this away with two unused filters in their original packaging. 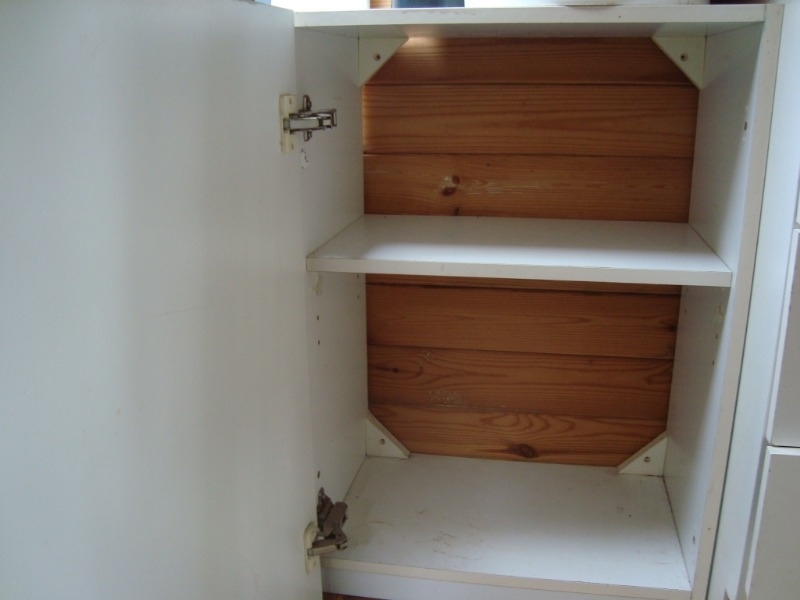 I'm looking for a microwave oven, any power rating, as long as it works and it's safe. It doesn't need the glass plate and wheel thingy inside, as it will be used to measure the speed of light. The microwave oven will be used for a drop-in activity at the upcoming Space@TheStade event in Hastings Old Town on 24th August - a free event for all ages with lots of space science stuff. Any offers will be greatly appreciated. I'm looking for a wired mouse (or mice), any make, as long as it works and it's safe. The mouse/mice will be used for a drop-in activity at the upcoming Space@TheStade event in Hastings Old Town on 24th August - a free event for all ages with lots of space science stuff. Any offers will be greatly appreciated. 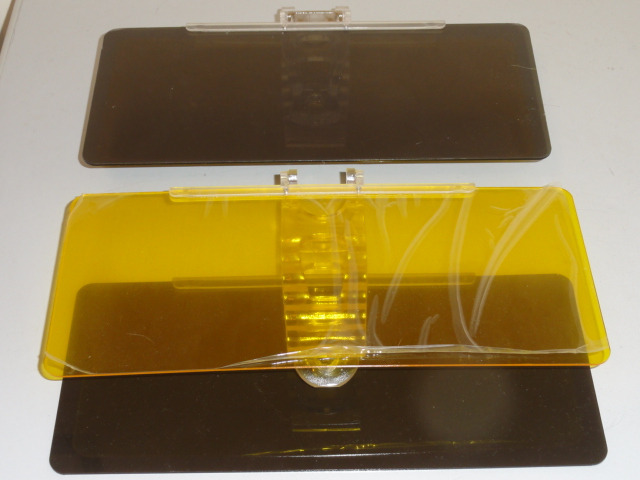 Have you got old Cassettes gathering dust? I'm an experimental Musician looking to use these for my own music! I would like to thank Barbara for donating a sewing machine and cloth and accessories to TWAM. All the items will be put to good use. 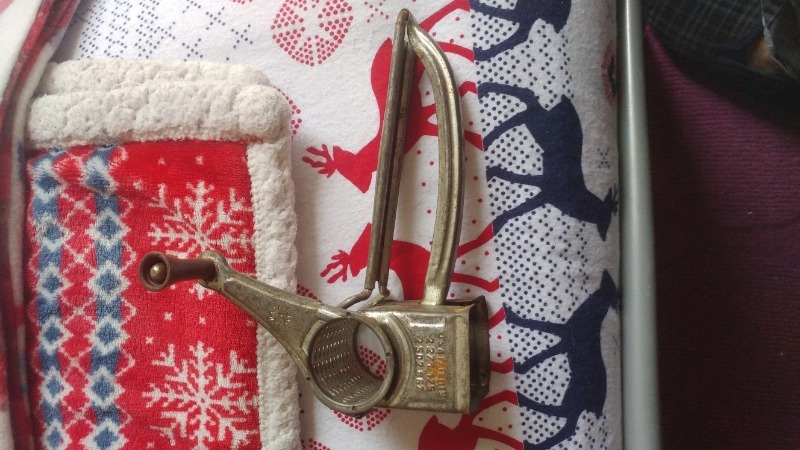 Please see : www.twam.uk for more details of tools and haberdashery items of use to us .